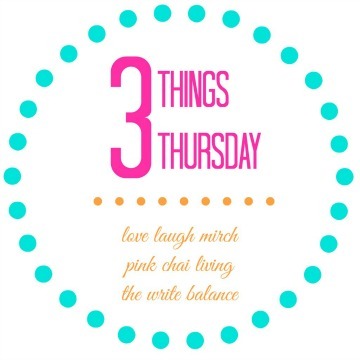 Let dive right into 3 Things Thursday this week! 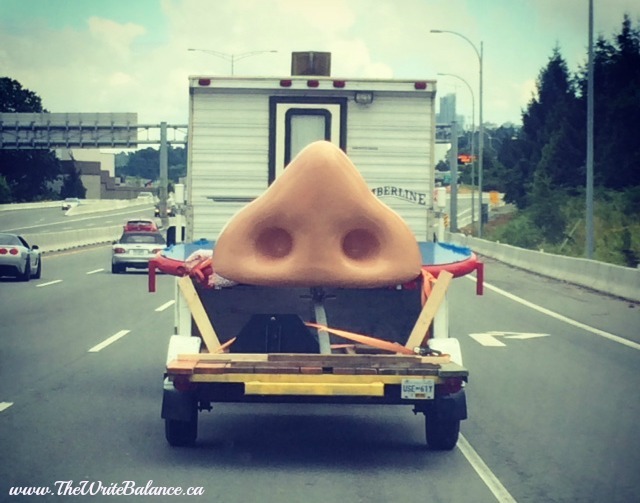 Last week, we were driving home and attached to a car in front of us was a giant nose! It was so big and a completely unexpected sight that I had to grab a picture of it! What’s the weirdest thing you’ve ever seen on the road? Right now I am attending my first blogging conference and I was pretty surprised at how organized I was because that’s not usually my strong suit. Maybe it had something to do with the fact that I was traveling alone and didn’t have to pack for anyone but myself. I came up with a great way to take my jewelry with me and not have it in a tangled, mixed up mess when I reached my destination. All it took was a trip to the hardware aisle at the local dollar store and this is what I ended up with. Pretty awesome right? I am really excited about my latest purchase, a reusable glass with a special compartment for you to put fruit in and infuse your water with flavour! And it really works. The flavour stays in your water, you can just keep refilling the glass throughout the day and when you’re done, there’s no squishy mess at the bottom of your cup. 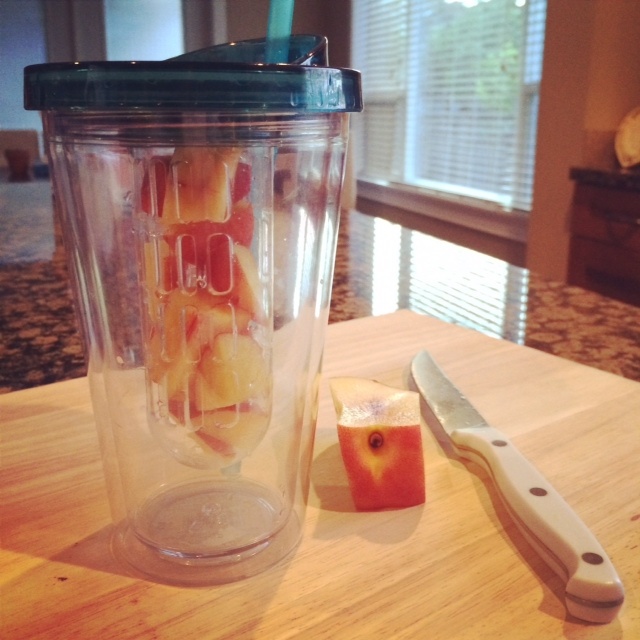 You can still eat the leftover fruit or even use it in a smoothie. And the best part? It’s only $2.94 from stores where you can buy President’s Choice items. Now there’s no excuse not to drink more water! Those were my #3ThingsThursday this week, I’d love to hear yours. Just whip up a blog post with the 3 things on your mind this week, grab a badge and link-up below, it’s that easy! 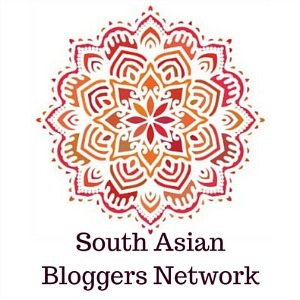 Then pop by and visit my fabulous co-hosts, Raj from Pink Chai Living and Nisha from Love Laugh Mirch and see what’s happening in their week. Happy Thursday! That giant nose is hilarious! Love the organization and I totally want that water cup! The nose was too funny not to share Casey! 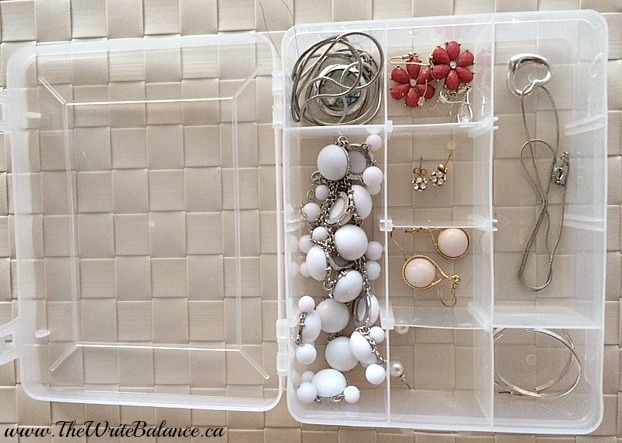 What an awesome way to pack jewelry! Have fun at the conference! 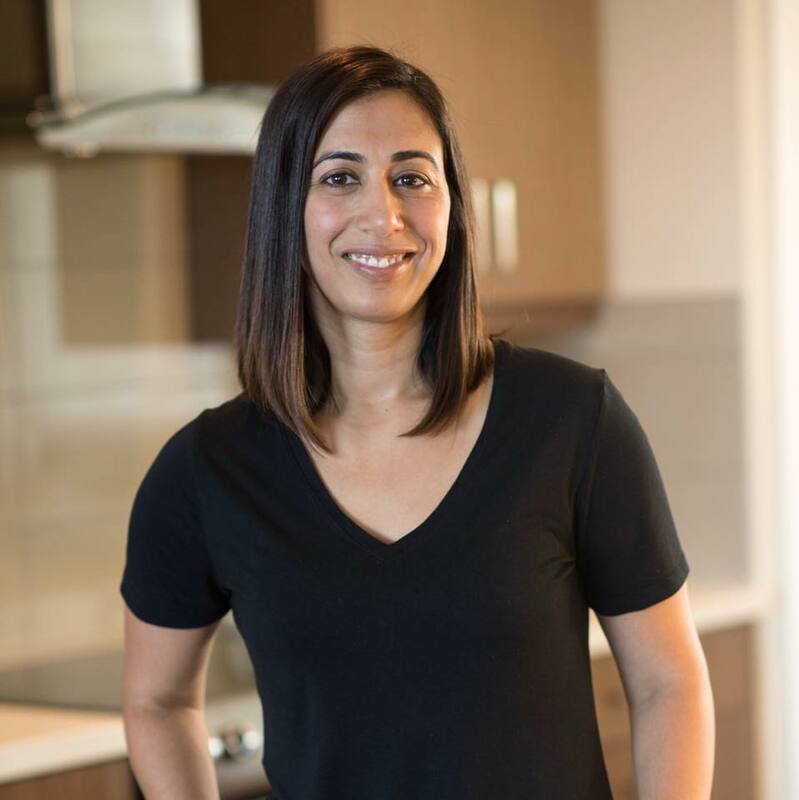 Thanks Sarita and it was lots of fun! Definitely a nosey affair lol. That is a great idea for travel. I have always wondered how to be more organized when travelling. I hope it comes in handy when you travel Amber. Hey, I enjoyed this post. It’s fun. And what a nose! lol. Also, isn’t it amazing that one can find at a dollar store. I don’t go often, but do enjoy going once in a while. Thanks for sharing! Thanks for stopping by Jeanne. And yes, it is amazing the things you can find there! That giant nose is hilarious! I wonder why they were going to use it for! Haha am not the most organised person either and I carry a similar case to store earrings and rings when travelling. What does the infused water taste like? Keep seeing pictures of them pop up everywhere. I wonder too! And the unfused water tastes lightly of whatever fruit you put in it. I like lemon infused water, but I get tired of the seeds floating in my cup. I’m going to check to see if Walmart carries this container. Nice idea! I love that infused water glass! I really need to find one of those. I’ve increased my water intake and it’s just so boring. This would certainly liven things up! It really does making drinking more water easier and tastier. Totally laugh out loud Sarah! I’ve seen those infuser cups and pitchers. Not only are they functional, but so pretty!